Cast iron breakers are available in two different sizes for the efficient processing of gear housings, engine blocks and other cast iron scrap. 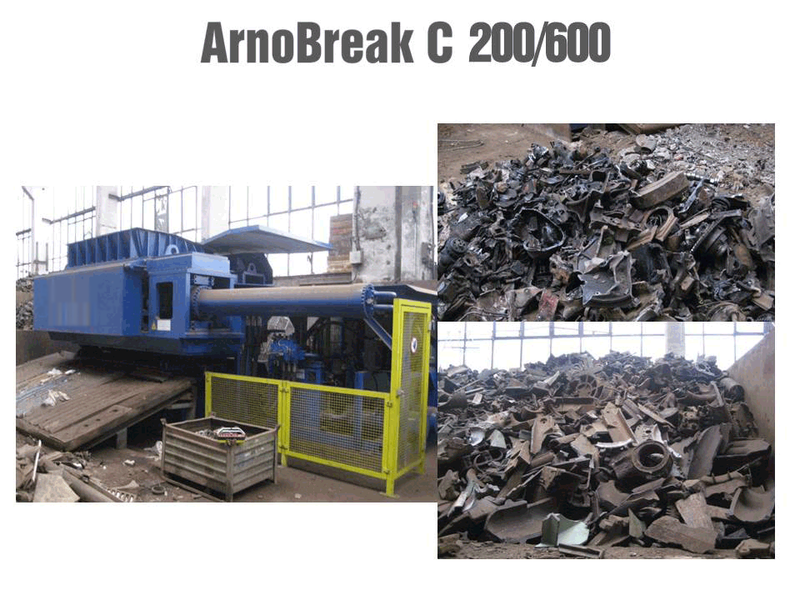 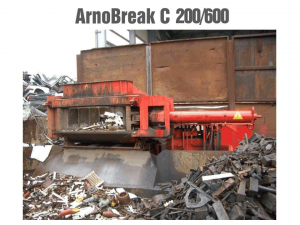 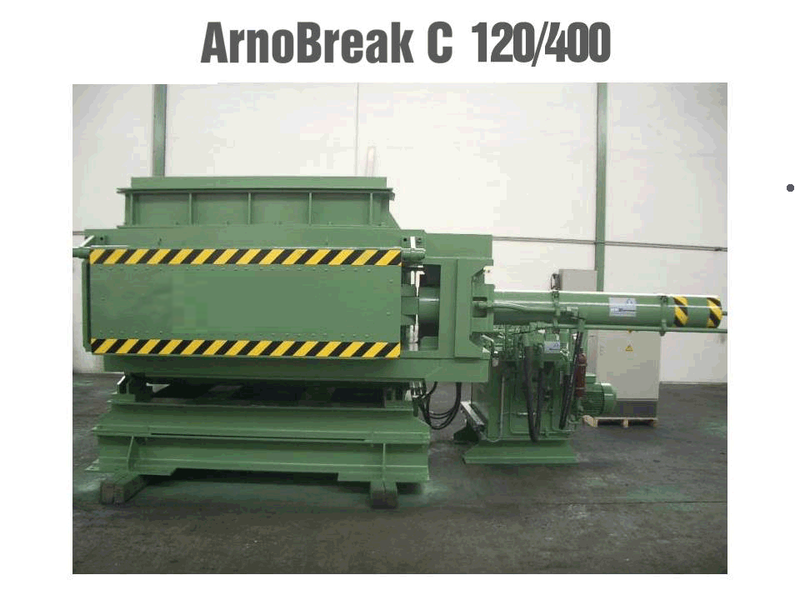 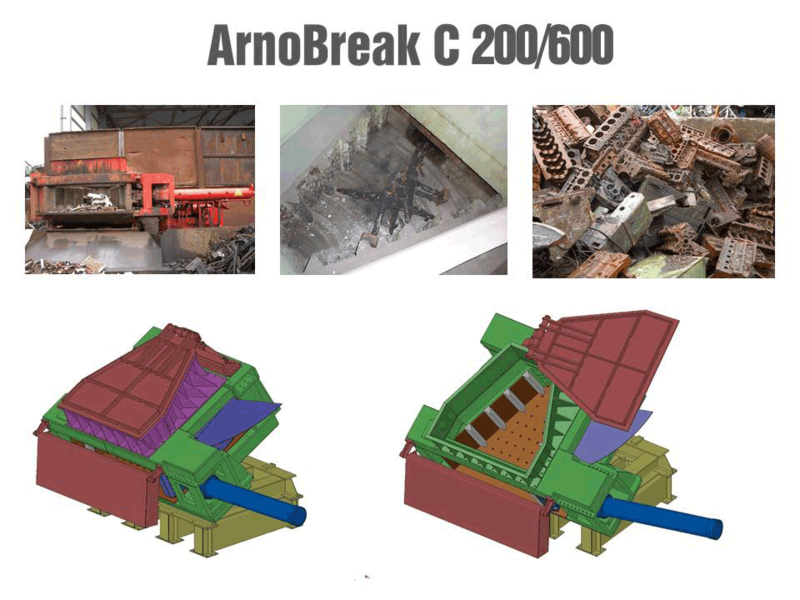 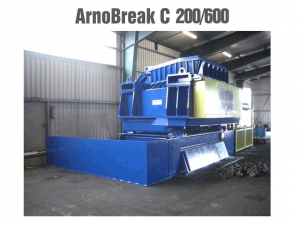 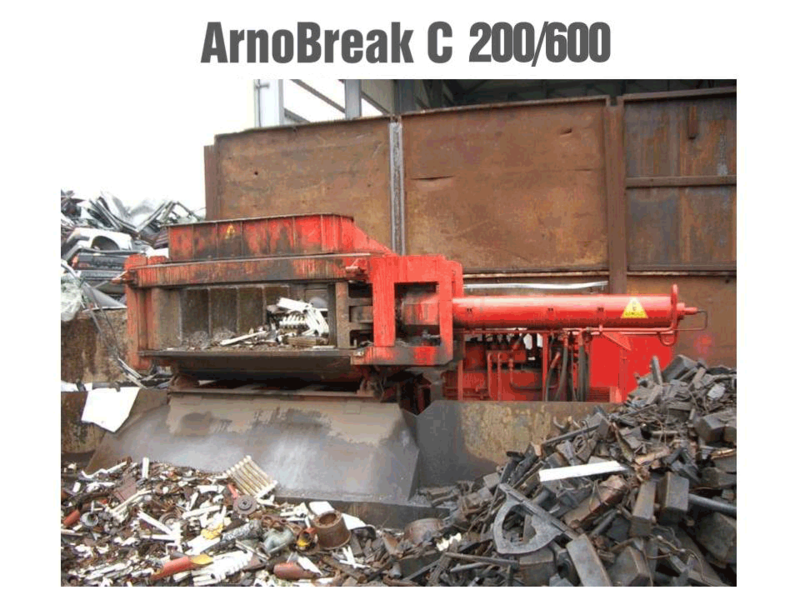 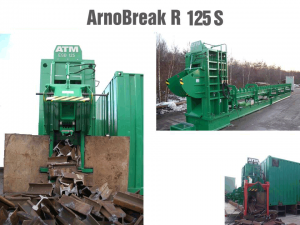 The ArnoBreak C 400 is used mainly for light scrap. 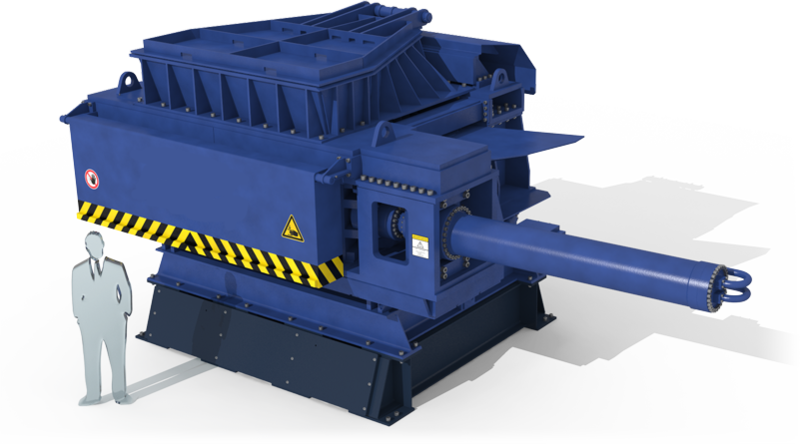 The shear movement of the serrated breaking arm generates high breaking power producing optimal particle sizes for smelting. 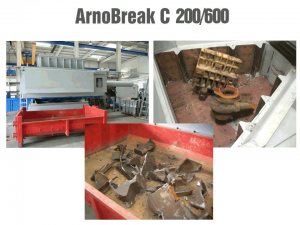 Unlike cutting processes, the breaking process works with no tool wear. 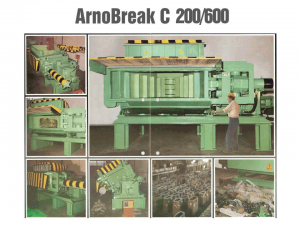 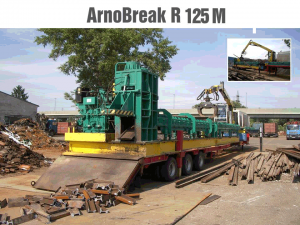 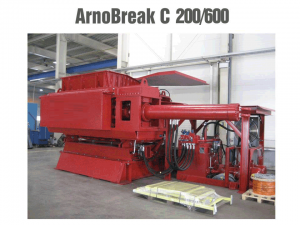 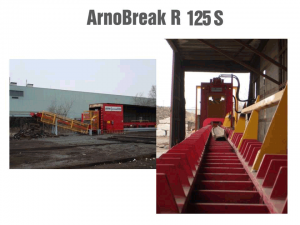 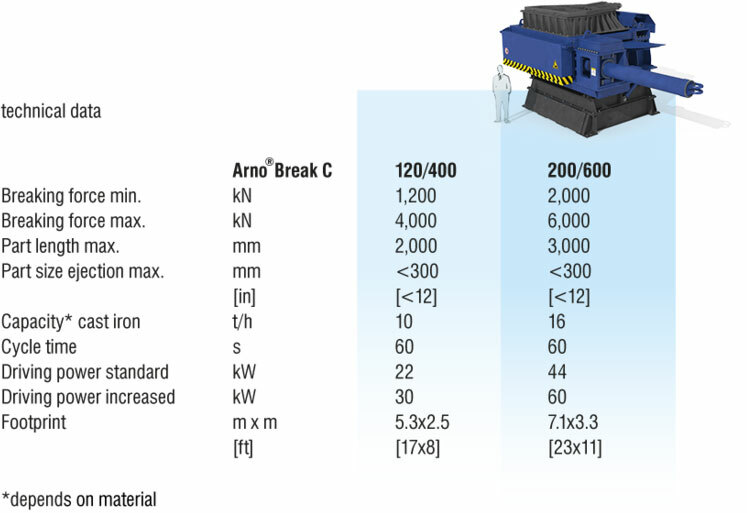 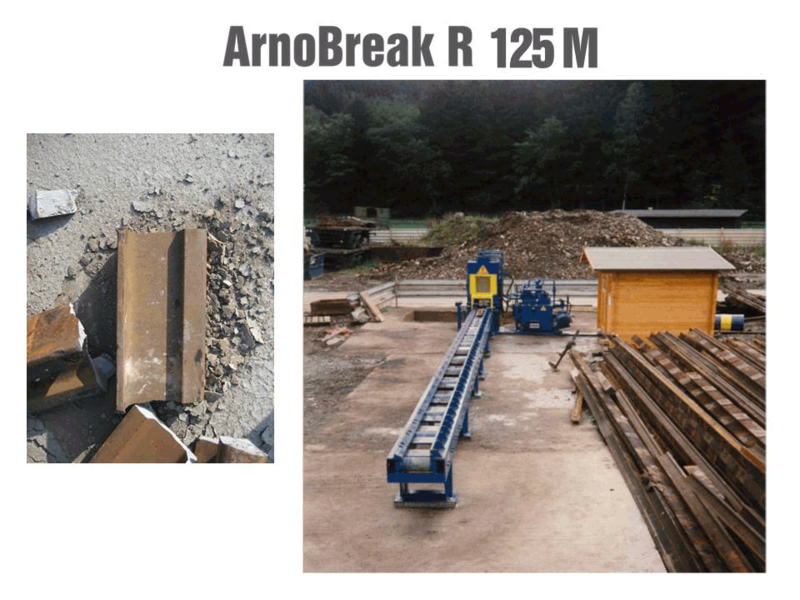 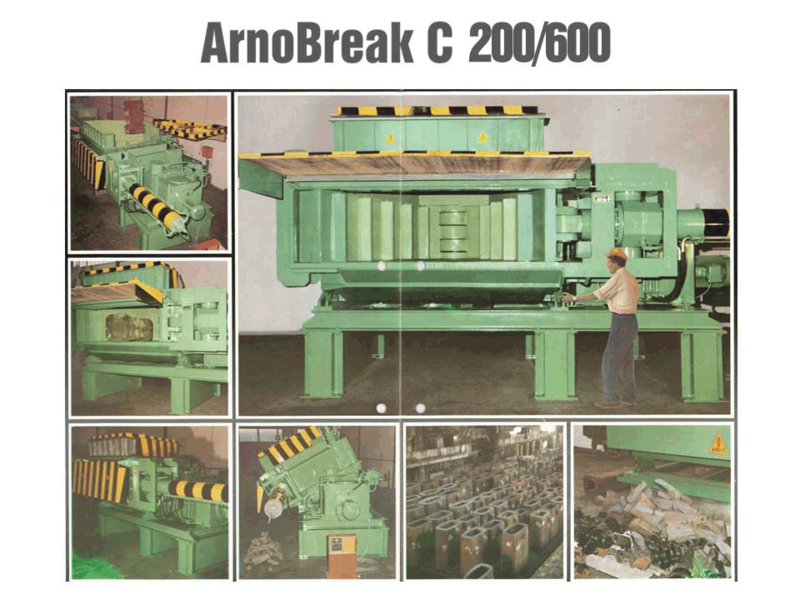 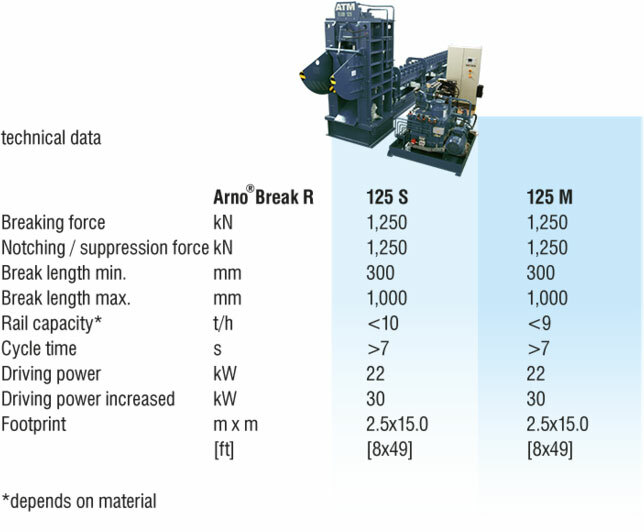 The ArnoBreak R rail breaker was developed to process railway rails effectively and is available in two variants. 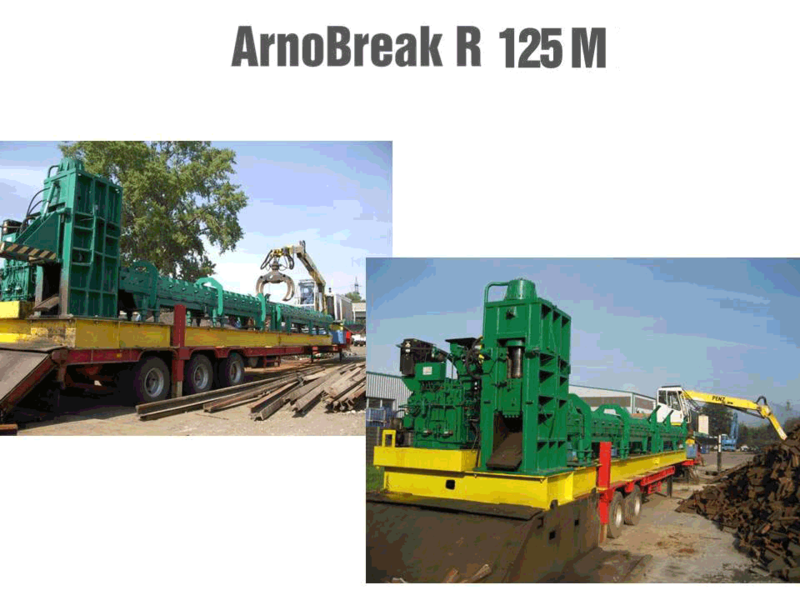 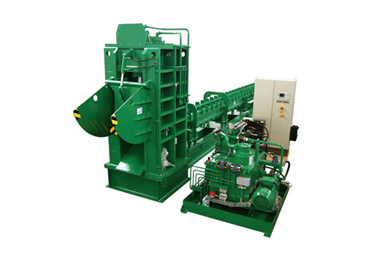 The stationary breaker design allows processing of rails of up to 120 m in length. 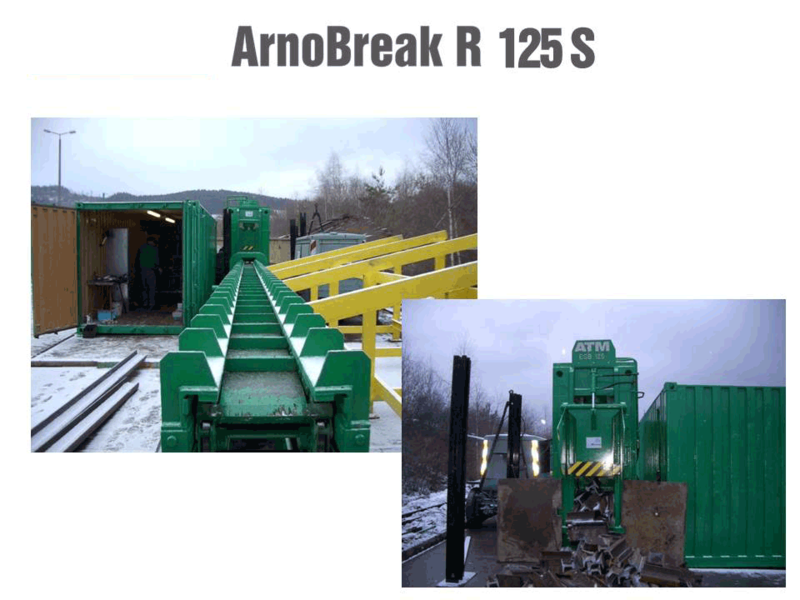 A magazine is used for feeding the rails into the breaker. There is a mobile version for use directly on the rail tracks, fitted with a diesel power unit and loading rig. 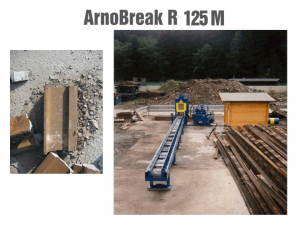 It can efficiently break rails of around 24 m in length into short sections measuring 300 to 1000 mm.